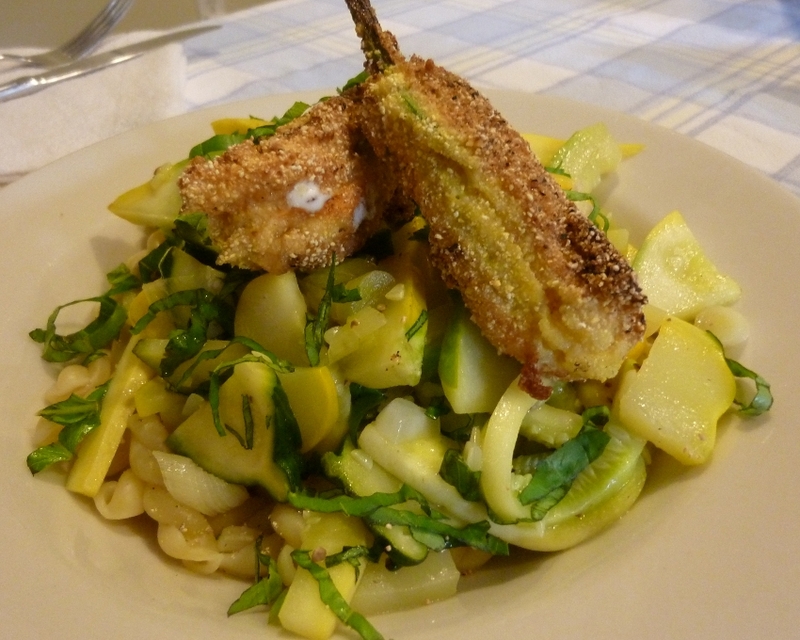 Many of you home gardeners know that once you get squash and zucchini plants producing, they keep going, and going, and going…. Pretty soon, you’re begging your friends and neighbors to take them away. Squash lovers are having a field day at the markets right now. And there’s an upside to it all because a delicacy to enjoy during this time of abundance is stuffed blossoms. 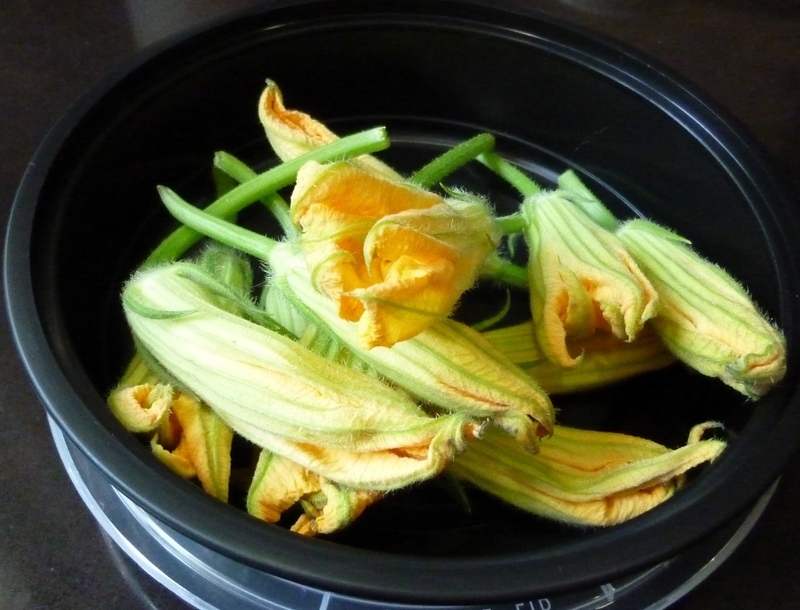 Charlotte Fresh knows that Chef Luca Annunziata of Passion8 Bistro wins hands down as the best preparer of squash and zucchini blossoms. 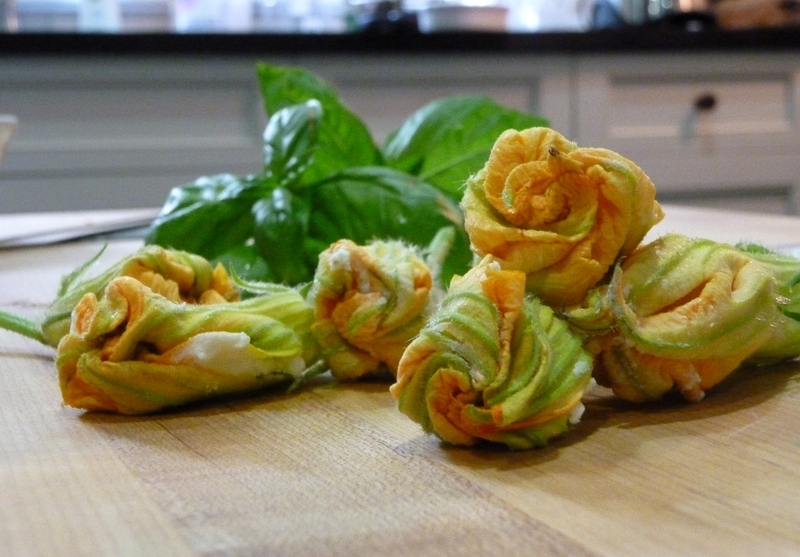 Here’s my take on fried blossoms – not nearly as yummy as Luca’s, but good in a pinch at home. From CF’s kitchen to yours, another original recipe. Mix 2-3 Tbs basil and pepper to taste with the goat cheese. Carefully stuff each blossom with approximately 1 Tbs. 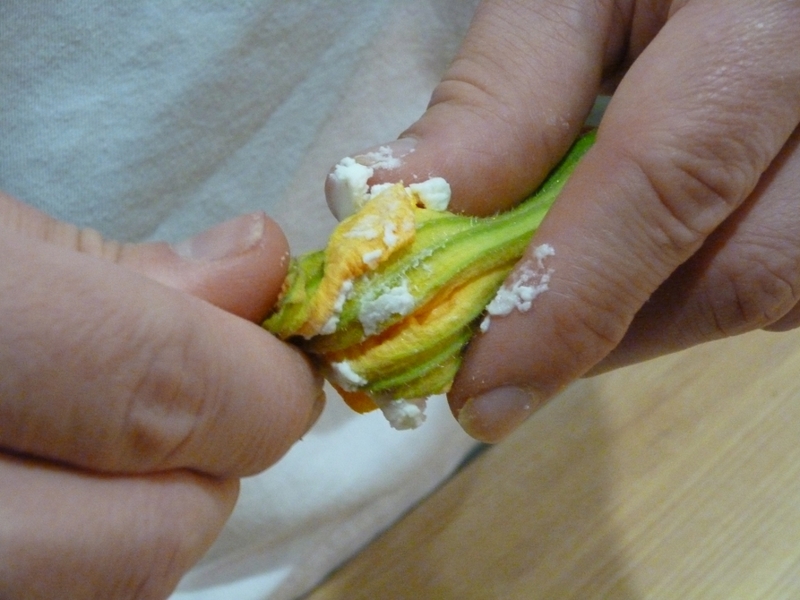 of the goat cheese mixture, trying not to break the blossom. Gently twist the tops closed. Stuffed and ready for frying - so pretty! 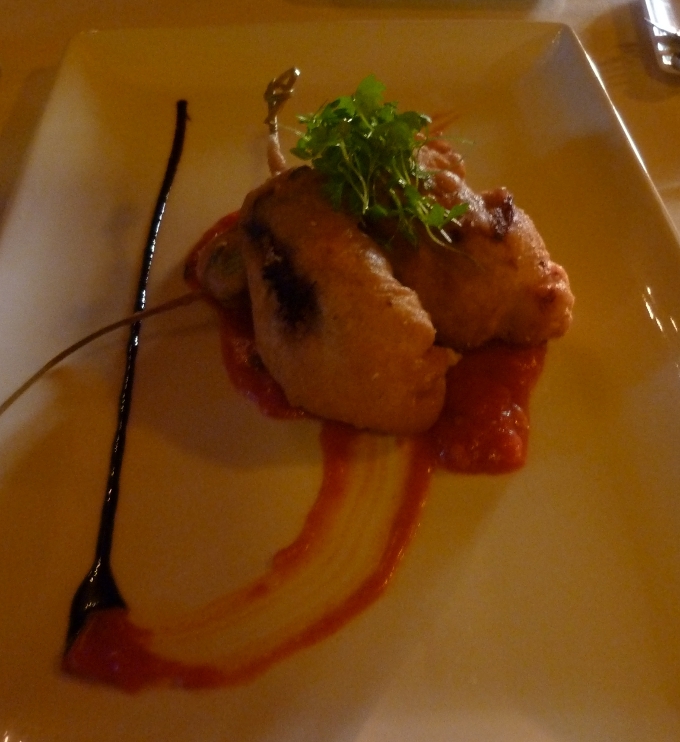 Dredge the stuffed blossoms in egg to coat, then in cornmeal to coat, shaking off excess cornmeal. Heat 1/2 inch of oil in frying pan, and when hot enough to fry up a small lump of egg/cornmeal, add the blossoms, a few at a time. Turn the blossoms as they fry until golden brown, and remove to a stack of paper towels to absorb extra oil. Sprinkle with salt and serve either as-is, or use a marinara dipping sauce. This entry was posted in Produce, Recipes and tagged Produce, Recipe. Bookmark the permalink.